Finding the right travel insurance as you get older can be tough. Some insurance providers either skyrocket their prices when you tell them your age, or don’t cover the things that are really important to you. Affordable holiday insurance that covers you properly, no matter what your age is. 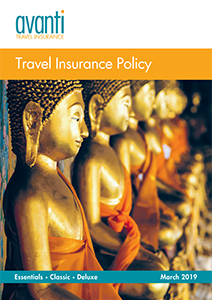 Read on to find out more why you should choose Avanti for your travel insurance or call us now on 0800 888 6195 to speak to our friendly team. 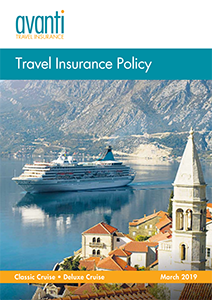 Why choose Avanti travel insurance as an OAP? At Avanti, we understand that although you may regard yourself as an OAP, a senior citizen, or elderly, what really matters is your happiness and health. For some, globetrotting gives back a sense of youth and adventure. For others it’s a chance to relax and enjoy yourself. Some even travel as a way of reconnecting and visiting family in far-off countries. So wherever your next adventure takes you, we want to help make sure you’re covered properly. For both our Single Trip and Annual policies, there is no upper age limit. You can stay away for up to 104 days, which is plenty of time for an extended visit to make some memories. Here are some of our most popular features of our insurance. With three cover options to choose from, there’s a level to suit all needs. When you’re living with a pre-existing medical condition as a senior citizen, having a great holiday isn’t out of the question. But what it does mean is that it’s really important that your conditions are covered by your travel insurance. From high blood pressure to arthritis and cancer, if you have any pre-existing medical conditions then it’s best to tell us about it. By declaring your conditions and covering them, you’ll know that you’re in safe hands should something unexpected happen. So let’s ditch the couch and drab weather and go on a travel adventure. Call us today on 0800 888 6195 to speak to our friendly team or get a quote and pay online.